I forgot I had this pic, but I absolutely love it. A day or two after my mom passed away, my sister found this poster hidden in her (my sister’s) room. We’re not really sure when my mom made it, but it was really an amazing and comforting thing to find. It was almost as if she had planted that ahead of time, to assure us that things were and are really OK. It’s really a powerful reminder that no matter how difficult, frustrating, annoying, and sad things seem, they will always work out. 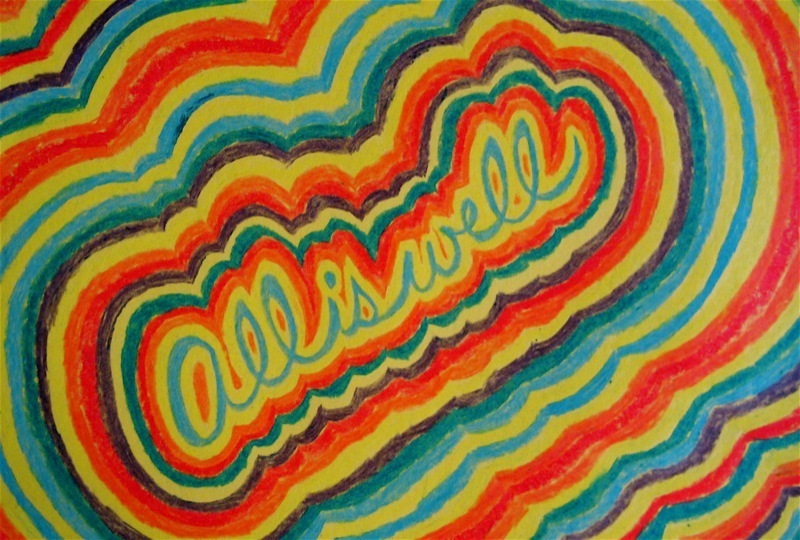 We will always be ok. All truly is and will be well. This entry was posted in Uncategorized. Tagged future, goals, mom, personal.